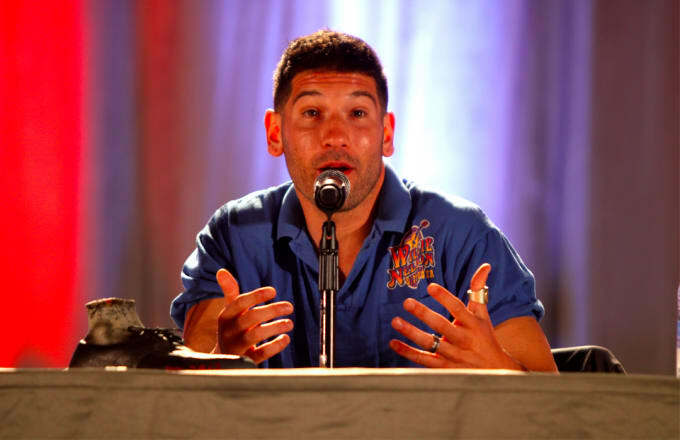 Jon Bernthal, who played Shane on seasons one and two of The Walking Dead, has been cast at the Punisher in the next season of Netflix&apos;s Daredevil. The casting call makes a lot of sense when you consider Shane and the Punisher&apos;s characters—both are sort of morally ambiguous dudes who go to lethal lengths to avenge or protect their loved ones. Shane strives to protect his best friend&apos;s wife (whom he&apos;s obsessed with) and child, and the Punisher becomes a vigilante after his own wife and child are killed. The character profiles have a lot of similarities, even though the franchise are extremely different. If you liked Bernthal in The Walking Deading, you&apos;ll probably love him in the already popular Daredevil series. Bernthal has been on a roll since his time on The Walking Dead, landing roles in big-time movies like The Wolf of Wall Street, Fury, and Me and Earl and the Dying Girl. Rosario Dawson Joins Netflix's "Daredevil"